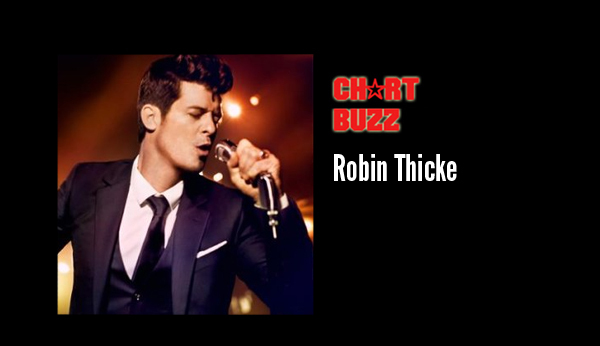 Without focusing on a complete CHART BUZZ installment for this week, HiFi focused foremost on the grand achievements of Robin Thicke’s blurry phenomenon on the charts. With four albums already out and a decade of music behind him, Robin Thicke‘s fifth album, Blurred Lines, becomes the first one of his career to hit the number one spot on the Billboard 200. It’s been a long time coming, but the blue-eyed soul singer managed to find a way to break into the pop market with his catchy disco ode “Blurred Lines,” which has been crowned by some to be the unofficial summer anthem of 2013. Even Stephen Colbert is singing Thicke’s praises, only because Daft Punk couldn’t grace his stage at the last minute because they found a larger outlet to show off the tune (a contractual agreement with MTV wouldn’t allow them to perform, due to an arrangement with the MTV Video Music Awards). Thicke, in the studio audeince at Colbert, showed off the tune on the Comedy Central show, which also meant more attention directed at the rise of Robin Thicke. Not only is Thicke’s first No. 1 album, it’s his best-selling debut: With 177,000 copies sold on week one, Blurred Lines surpassed the debut week of 2008’s Something Else, which debuted at number three with 137,000 copies sold. “Blurred Lines,” the album’s lead single, is still dominating the Hot 100. Last week, One Direction knocked Thicke’s song from the top spot with their latest single, “Best Song Ever.” But even that title seemed to be blurred with laughter when Thicke’s single saw a resurgence with the public. This week over on the Digital Songs chart, Thicke’s “Blurred Lines” (featuring Pharrell and T.I.) regained the No. 1 slot. The single sold another 405,000 downloads (up 30%), while One Direction’s “best song ever” dropped 1-12 with 91,000 downloads (down 72%). “Blurred Lines” also knocked Imagine Dragons‘ “Radioactive” out of the top spot for being the second-biggest-selling song of the year. 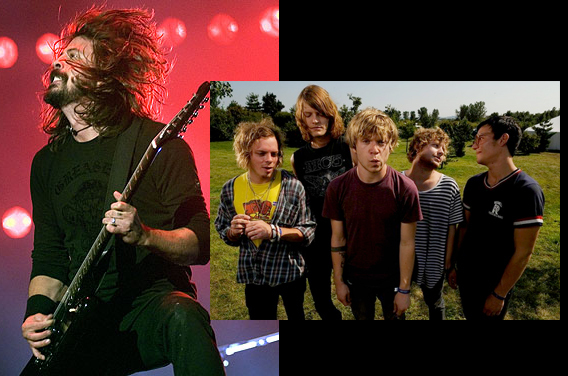 “Blurred” has shifted 4.3 million, while “Radioactive” stands at 4.1 million. In case you didn’t know, the year’s biggest seller is “Thrift Shop,” by Macklemore and Ryan Lewis (featuring Wanz), which has sold 5.8 million. Elsewhere on the singles’ chart, Miley Cyrus‘ “We Can’t Stop” rises 3-2 with 173,000 (down 9%) while Jay Z‘s “Holy Grail” (featuring Justin Timberlake) ascends 4-3 with 162,000 (up 2%). Don’t count Daft Punk‘s “Get Lucky” out. It rebounded 8-7, although sales dropped by 9%.